One of the surprise Disney productions of the past few years was Wreck-It-Ralph, a brightly coloured adventure about a villainous computer game character who wants to be loved and meets a racing game player to form an unlikely friendship. Now comes the sequel, which has all the colour and pizzazz of the original but looks like a more expensive rip-off of The Emoji Movie with Inside Out thrown in for good measure. Yet while it plays out as an extended advertising campaign for the huge internet companies as well as the Disney brand, this has much more to offer than a film like this has any right to. Ralph and Vanellope’s friendship has grown over the six years since they first met but when her computer game is accidentally broken, Ralph is determined to help to get the game back before it is dumped forever, losing his best buddy. The pair head into the internet where they discover they can by the part needed on eBay but when thy overbid for the piece and have no money, they have to find a way to raise the cash, taking them on a whole new adventure in an alien world, including an exciting racing game that Vanellope falls in love with. The thing that made Wreck-It-Ralph work was that it managed to mix classic computer game characters with a sickly sweet tale of a clumsy oaf who just wants to be liked, bringing a touching message without ever sledgehammering it home, still being hugely entertaining. Here, the filmmakers have taken that story of friendship and thrown them into a world that we are so familiar with and yet done with an enormous imagination. You can forget the promotion of those companies because they have managed to bring them to life in a way we never thought we would see. We get eBay played out like an auction, with characters leading the gabble banging for small boxed-headed human, representing the humans watching the items on sale. Security blockers pop up like bodyguards. Even the dark web is represented like a sleazy alleyway that you wouldn’t walk down. Around every corner is another invention of the land of what’s behind the computer screen. The similarities with the dire The Emoji Movie are huge, yet this is done with flair, panache and a level of creativity that only Disney can produce. The film, admittedly, starts off slowly, with us getting used to Ralph and Vanellope’s world once again, behind the arcade land, going through the motions of everyday life. Once the pair enters the Wi-Fi, it finds his feet and the rest of the film is a blast. 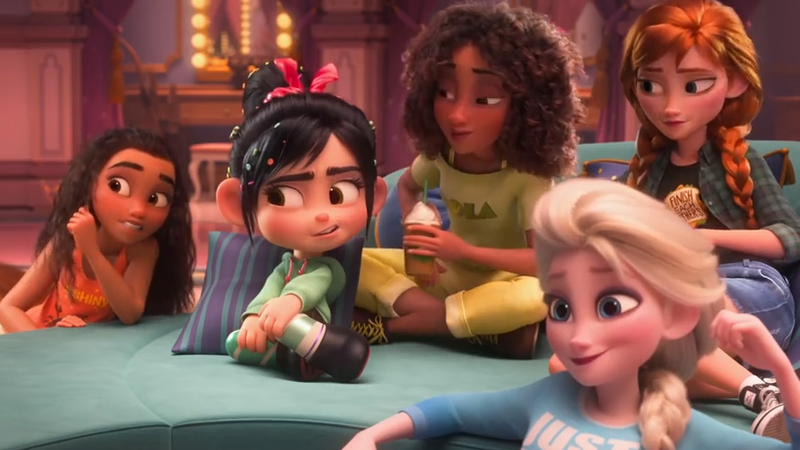 There are enough moments well worth the admission price alone, particularly when Vanellope finds herself in a room filled with Disney princesses, a strong sequence full of big laughs but a definite nod towards the #MeToo generation. There are jokes about pop-up ads, the importance of likes on video channels and even a caution about reading the comments. It isn’t afraid to poke fun at itself and while the laughs are huge, it still manages to have a heart that takes a simple message and by the time it hits the finale, you are weeping like a baby. 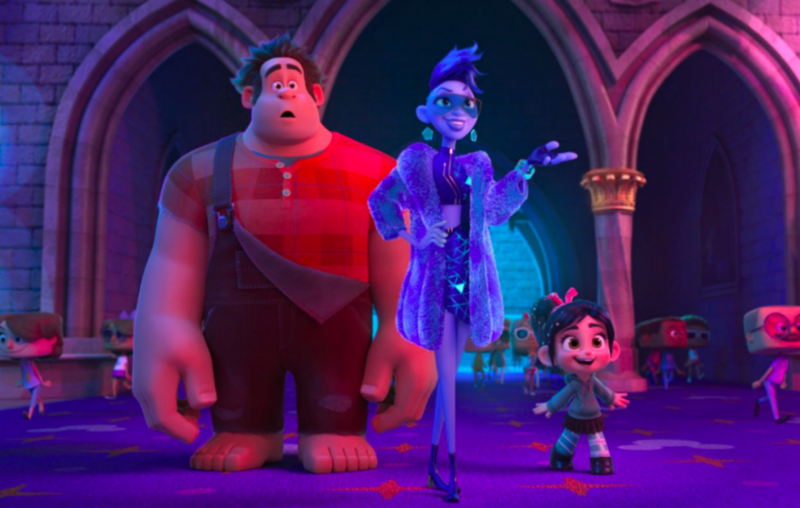 The voice talents help this with John C. Reilly and Sarah Silverman returning as Ralph and Vanellope, both complimenting each other beautifully. 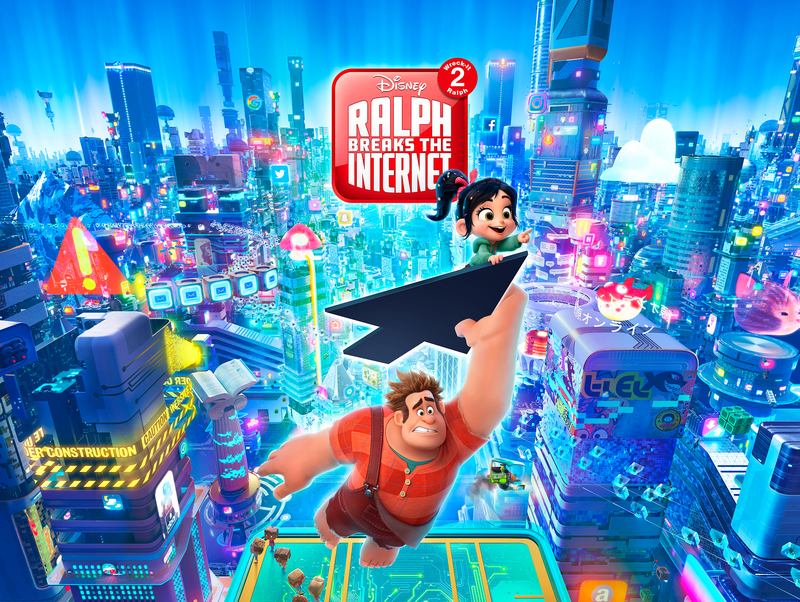 Ralph Breaks the Internet is as wildly inventive as the first film and while it might not have the depth of Inside Out, it has plenty of laughs, plays it straight when it needs to and knows just when to push the emotional button. Stick around for a post-credit sequence that will leave you with a huge smile on your face. A real crowd pleaser.